MUNICH -- The co-founder of Noveto Systems had five minutes to impress some 1,000 auto executives, venture capitalists and fellow entrepreneurs with his startup's novel audio system. 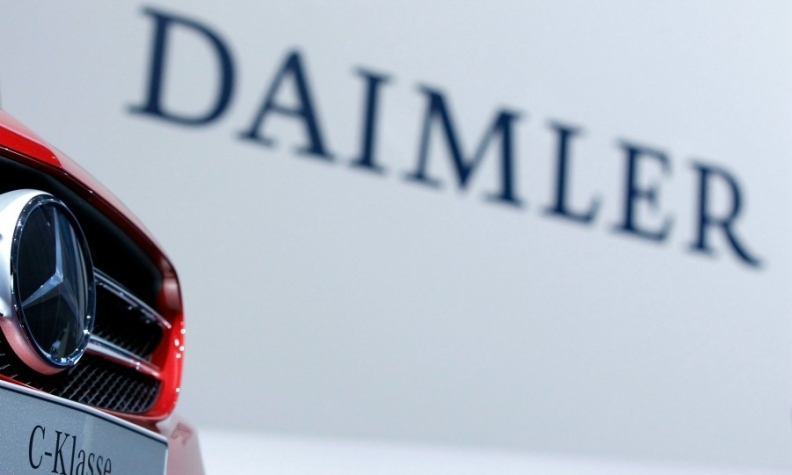 At stake, a potential supply deal with Mercedes-Benz. After a tentative beginning, Tomer Shani asked the crowd in Stuttgart, Germany, to "imagine a world without headphones and wires," where speakers beam sound directly to a listener's ears, imperceptible to others close by. He then invited everyone to test it first-hand in a Mercedes S-class sedan in a corner of the exhibition hall. The gathering, sponsored by Mercedes parent Daimler, featured presentations from each of the 13 firms that emerged from an innovation hub the carmaker helped set up last year. Beyond showcasing cutting-edge electronics, the event underscored how automakers -- long viewed as slow-moving giants -- have begun to adjust as technology disrupts their industry. "We have to talk about a new structure of partners and suppliers," said Sajjad Khan, vice president for digital vehicle & mobility at Daimler. "Nowadays, we have to handle agile startups, small software-driven companies or even individuals with innovative ideas." As cars fill up with gadgets -- from gesture-controlled radios to 3D windshield displays -- carmakers are scrambling to find a technological edge. They're also confronting challenges from U.S. firms like Google parent Alphabet and Uber that are changing the way people think about getting from point A to point B. Investments in auto-focused startups ballooned to $16.3 billion in the first half of last year from $16.1 billion in all of 2015, according to Oliver Wyman, a consulting firm. In a sign of the rising stakes for startups, General Motors Co. last year snapped up Cruise Automation, a 40-person autonomous driving software firm, for $1 billion, including performance incentives. Daimler co-founded Startup Autobahn in Stuttgart last year with U.S. accelerator and investor Plug and Play and Stuttgart University. The plan is to form a center for innovation in the region to explore ideas related to mobility and factory automation. The startups in the three- to six-month program were chosen from some 300 applicants. For carmakers, identifying promising ideas is only the first step. The tougher part is turning them into products that can meet industry standards and withstand the rigors of the real world: rough daily handling, rutted roads, desert heat and Arctic cold. Because failure can lead to lost lives and enormous fines, cars go through more testing than almost any other consumer product. In recent years, defective floor mats in Toyotas that caused unintended acceleration were allegedly involved in 16 deaths and led to about $3 billion in legal claims and penalties, while faulty airbags made by Takata Corp. triggered the biggest recall in automotive history. To produce a single vehicle, carmakers must bring together and assemble some 30,000 components. Tel Aviv-based Noveto worked with Daimler executives and engineers for six months before the brief presentation in Stuttgart last month by Shani, who co-founded the firm in 2011 with university friend Noam Babayoff. Daimler even provided a test car for Noveto's use, free of charge. In the car at the conference, the demonstration went without a hitch. The system, which relies on 3D sensors and proprietary software, pinpointed an individual's ears even when they were hidden beneath hair. At a hand gesture the sound, initially audible to everyone, was beamed directly to the targeted listener. The goal is to let individuals listen to music without distracting the driver or other passengers or interfering with navigation instructions. Despite the successful trial, Shani said it's still early days. "The automotive industry is very strict, and there are a lot of safety issues," he said. To put a component inside the car, "there's a process you need to go through, and we're only at the initial steps." Shani previously worked at ITL Optronics Ltd., which makes electro-optical products that enhance night-vision capabilities for the military in Israel, the U.S. and elsewhere. Anke Kleinschmidt, Daimler's vice president of group research, said she expects to keep working with about a third of the 13 startups, without identifying which ones. "We've learned it's not enough to just put money in -- there needs to be a partnership." Ideally, the young firms will benefit from the automaker's resources and knowhow, while Daimler will turn them into suppliers, without extinguishing their entrepreneurial spark. That will require a fresh approach from the carmakers, whose traditional focus is on forcing suppliers to drive down costs. "The easy-going startup culture needs to adjust to us, because the demands on the products in terms of durability and functionality -- high temperatures, crashes -- is very different to, say, a smartphone," said Klaus Zehender, the head of procurement for Mercedes. "Daimler is becoming more startup, and the startups are becoming more Daimler."